A new documentary by Frameworks Films called ‘Blackpool to the Front’ will be broadcast on Cork Community Television on Saturday 15th December 2018 at 8pm. ‘Blackpool to the Front’ tells the stories of some of the men from Blackpool who fought in World War One. Based on the book by the same name written by Blackpool resident Mark Cronin, the documentary provides an introduction to Blackpool at the outbreak of the war and military historian Gerry White, sets the scene in Ireland and Europe at the start of the twentieth century. The documentary also features some of the relatives of those who fought in the war and they bring to life the men from Blackpool who for a variety of different reasons, went off to war. 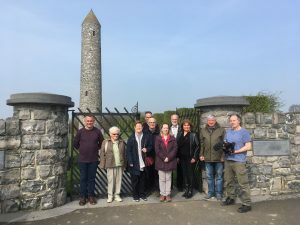 The documentary then follows a group from Blackpool, who in April 2018 travelled to France and Belgium to visit some of the places where their relatives had fought and, in some cases, died. This provides an opportunity for the audience to see these locations on the Western Front and to hear what happened to some of the men who fought there. The documentary also includes footage from the Foret de Mormal in Northern France where Denis Jones was killed, the last man from Blackpool to die in World War One. Two sapling trees are presented by forestry officials to his niece Eileen Jones and members from the Blackpool Historical Society and the film concludes with these trees being planted in Blackpool as a living memorial to the men from Blackpool who died. 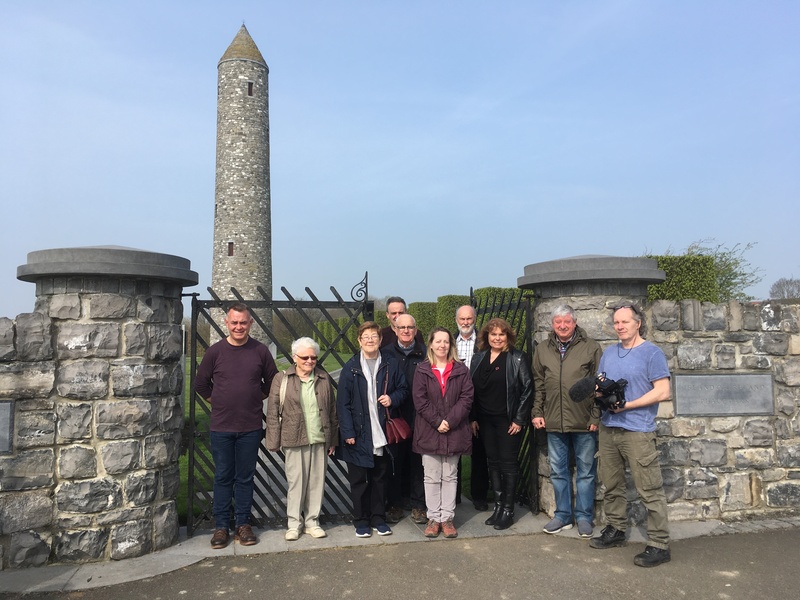 ‘Blackpool to the Front’ was funded by the Broadcasting Authority of Ireland under their Sound and Vision Scheme and also received support from the Blackpool Historical Society through a Heritage Grant from Cork City Council. A new documentary by Frameworks Films called ‘Fords – Memories of the Line’ will have its premiere screening at the Firkin Crane in Shandon, Cork on Wednesday 1st August 2018 at 7.30pm as part of the 2018 Spirit of Mother Jones Annual Festival. ‘Fords – Memories of the Line’ is a documentary about what is was like to work on the assembly line at Ford’s car manufacturing plant in Cork, which operated from 1917 to 1984. A group of former workers share their memories of what it meant to have a job in Fords, how the assembly line worked, the social life and some of the people and stories they remember from their years working there. 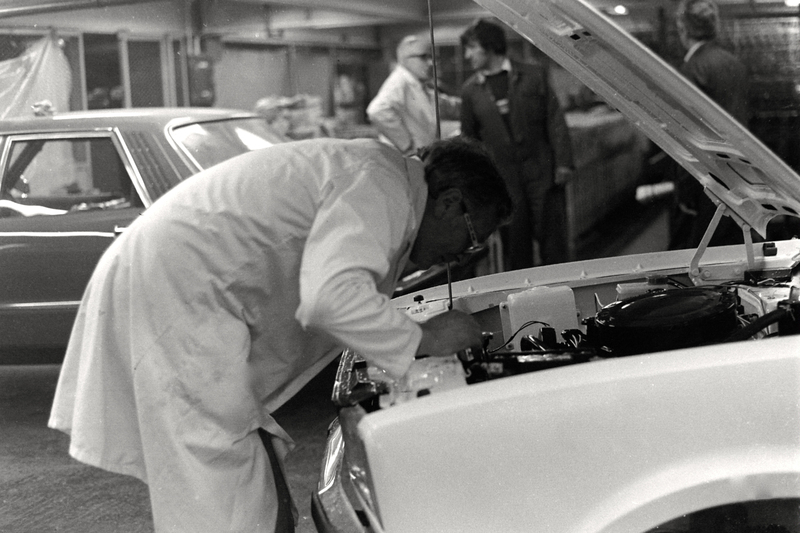 One hundred and one years after Henry Ford founded the factory in Cork, it is the men who built the cars who are mostly remembered in this documentary. The film also details the closure of the factory in 1984 and the impact this had on the men, their families and the city of Cork. The documentary was produced by Frameworks Films in collaboration with the Ford Ex-Worker’s Group and was funded through the Sound & Vision scheme operated by the Broadcasting Authority of Ireland. The documentary will also be broadcast on Cork Community Television. A new documentary series by Frameworks Films called ‘Our Barracka’ will commence broadcast on Cork Community Television on Thursday 7th June 2018 at 8pm and will be broadcast every subsequent Thursday at 8pm until 12th July 2018. Barrack Street, or Barracka as it is commonly known by local people, is a much loved street on the southside of Cork City, rising up steeply from the River Lee at the South Gate Bridge to the southern wards of the city. 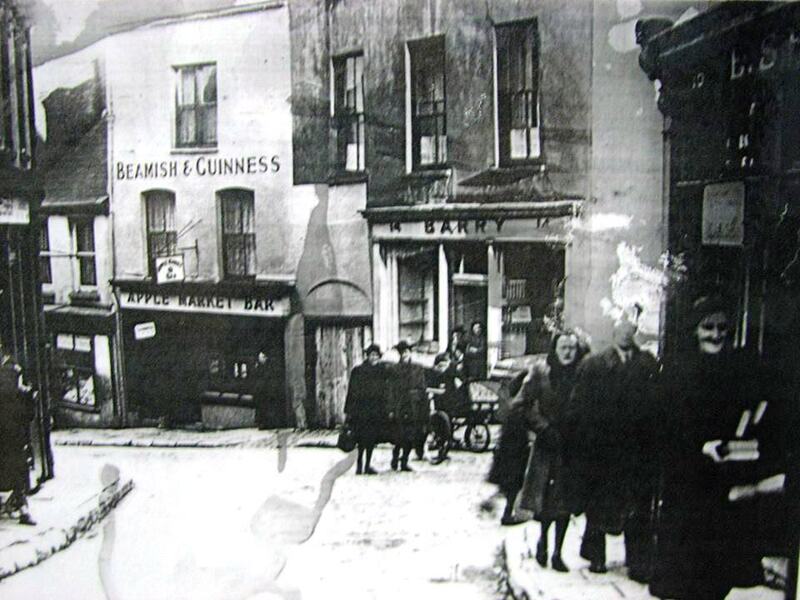 Its story contains a wealth of information about the history and heritage of Cork city from its foundation in the sixth century, to Famine times, the War of Independence and contemporary Ireland. This six part series will uncover six different aspects of the street from its social and military history to its famous Barrack Street band and provide a fascinating insight into a unique Cork street. The documentary was produced by Frameworks Films, a Cork based production company, in collaboration with the Barrack Street Community Group. A new documentary by Frameworks Films called ‘Kickstart’ will be screened on Monday 11th December 2017 at 7pm in Nagle Community College in Mahon, Cork. ‘Kickstart’ is a documentary on football culture in Mahon on the southside of Cork city. Given its relative size it has produced an above average number of outstanding players and this documentary aims to show why. It explores the links between the local football club Ringmahon Rangers, the local school Nagle Community College and the local youth club Mahon Youth Development Project and how they all work together to nurture young players. In Kickstart we see the various options open to young players who wish to progress with their footballing career, whether that be playing at senior level in their local club of for Cork City or coaching or playing at a professional level nationally or internationally. At a time when there has been much focus on where the next batch of young players will come from to play for Ireland in the years to come, this documentary might provide some food for thought. ‘Kickstart’ ultimately is about one community and its passion for football. ‘The Limerick Brigadistas’ tells the story of six men from Limerick who went to fight against fascism with the International Brigades during the Spanish Civil War (1936-1939). 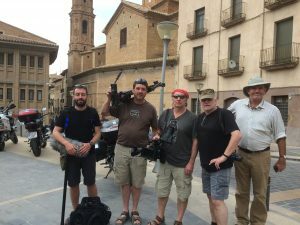 Approximately 240 Irish volunteers fought with the International Brigades during the war and the documentary will tell the story of the six men from Limerick who fought with the XV International brigade – Frank Ryan, Emmett Ryan, Joe Ryan, Gerard Doyle, Paddy Brady and Jim Woulfe. It will explore what motivated these men to leave Ireland to fight in another country and what subsequently happened to them. 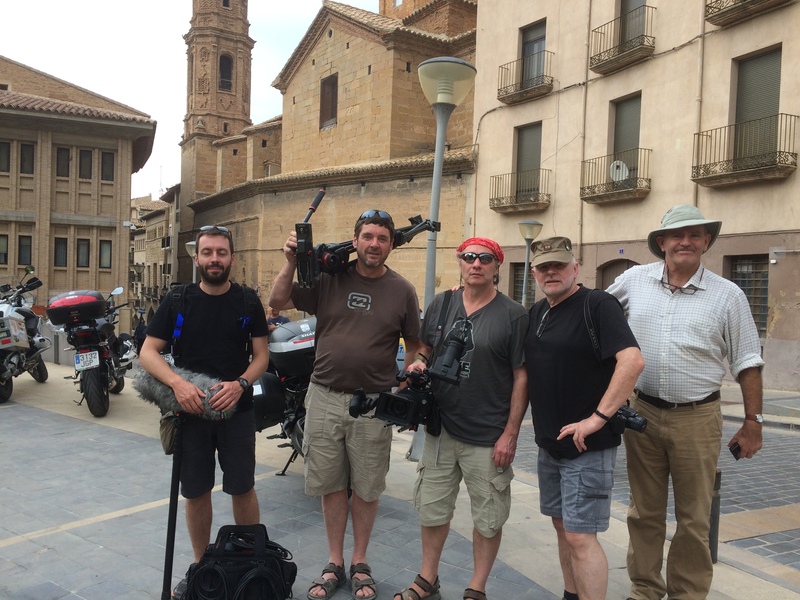 The documentary follows some of the members of the Limerick International Brigades Memorial Trust as they travel to Spain to find the final resting place of some of their fellow Limerick men and to look at the relevance of their story in today’s world. 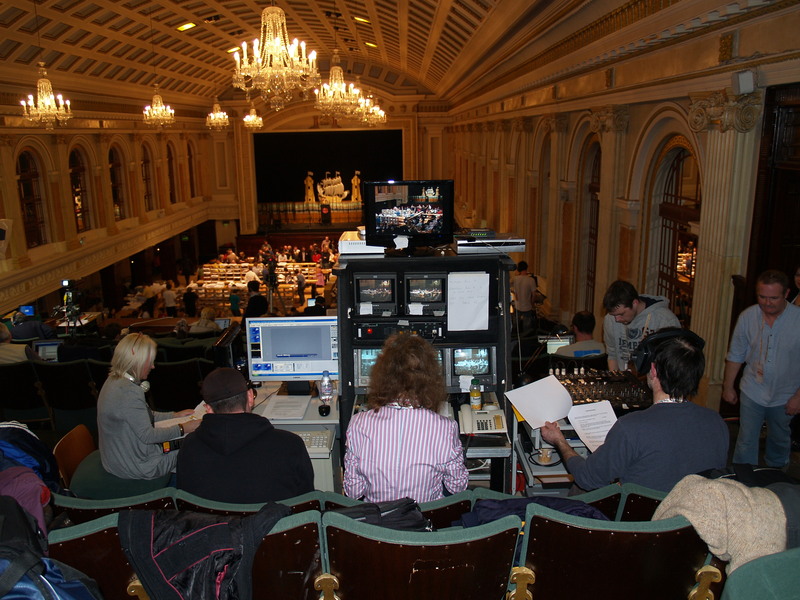 Frameworks Films will be covering the General Election count 2016 live from Cork City Hall for broadcast on Cork Community Television (CCTv). The coverage will begin at 4pm on Saturday 27th February 2016 and will be available to view on Channel 803 on the Virgin Media digital cable network (formerly UPC). The election count can also be viewed live on www.corkcommunitytv.ie in the Online TV section. Cork Community Television is a membership based, not-for-profit organisation and its primary aim is to enable communities to make, manage and broadcast television programming to reflect the interests, activities and concerns of these communities in order to effect positive social change. It is licensed by the Broadcasting Authority of Ireland and is run by a voluntary board of management. It has been operating on a small scale since it began broadcasting in 2009, bringing a wide variety of locally produced programmes to Cork audiences and it previously covered the 2011 General Election count. Frameworks Films is a member of Cork Community Television and is a film production company that specialises in collaborative documentary production and also runs an education and outreach programme. The coverage of the general election is a huge undertaking and Frameworks would like to thank all those whose support has made it possible, in particular the Community Television Association. Commenting on the announcement Eddie Noonan of Frameworks Films says “We see this as a great opportunity to promote active citizenship and we would like to see more groups making use of their own channel here in Cork”. The coverage will include live footage of the count plus interviews with candidates from the different constituencies. A new documentary on a thrilling chapter of Limerick’s past will be screened on 11th October 2015 at 12 noon in the Gate Cinema, Cork as part of the IndieCork Festival. 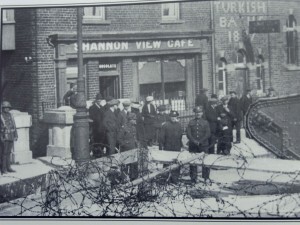 ‘The Limerick Soviet’ has been produced by Frameworks Films, in collaboration with the Limerick Council of Trade Unions. ‘The Limerick Soviet’ tells the story of a revolution on the streets of Limerick in April 1919 when the first soviet in Ireland was declared. 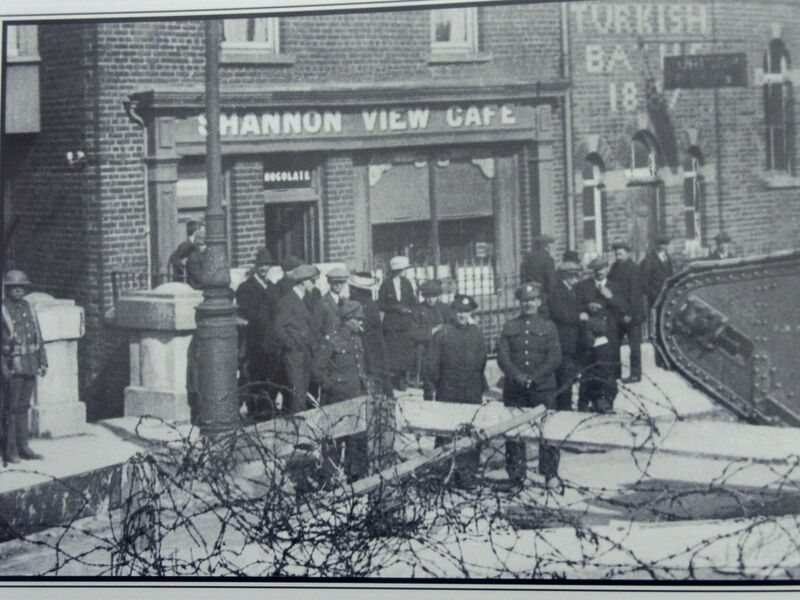 It occurred as workers in the city refused to succumb to the imposition of martial law in Limerick, which had been declared following the death of a trade unionist and IRA member, at police hands. This hard-line approach by the British authorities backfired and resulted in the calling of a general strike and the effective control of the city by the workers. ‘The Limerick Soviet’ examines the events leading up to this dramatic event, details what happened during the strike and explores its legacy. This fascinating account of twelve days in April 1919 brings to light a forgotten episode in Irish history. ‘The Limerick Soviet’ was produced with the support of the Sound and Vision scheme, an initiative of the Broadcasting Authority of Ireland. ‘Mother Jones and her Children’ outlines the life of the most famous Cork woman in America – Mary Jones, formerly Mary Harris. The documentary tells of her extraordinary life – her early years in Cork, her survival of the Famine and emigration to Canada, her move to the US and her marriage to George Jones, her life as a mother to four young children, her tragic loss of her entire family and later her business, her entry into the labour movement and her growing involvement in organising workers to the point where she is dubbed ‘the most dangerous women in America’. With contributions from leading experts on Mother Jones, the documentary will restore her memory, particularly in her native city, where she is still relatively unknown to this day. 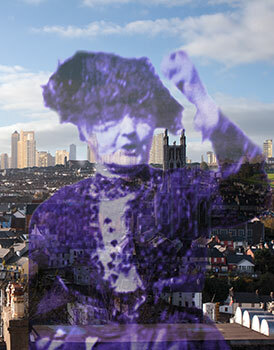 The documentary will also be broadcast shortly on Cork Community Television (available on Channel 803 on UPC’s digital cable package) and streamed live on www.corkcommunitytv.ie ‘Mother Jones and her Children’ was produced with the support of the Sound and Vision scheme, an initiative of the Broadcasting Authority of Ireland. Established in 1999, Frameworks Films is an independent film production company based in Cork City, Ireland. Our main aim is to produce challenging and thought provoking films of the highest quality for broadcast locally, nationally and internationally. Frameworks also promotes access to and participation in the filmmaking process in Cork city and county.